Our November weather has been absolutely crazy. We’ve had flooding, severe winds that knocked out power and destroyed several houses, and landslides that have filled the city’s reservoirs with silt, resulting in a boil water advisory for the past two weeks (and counting). Today’s forecast includes a snowfall warning for tonight and over the next few days, with temperatures down to -9 degrees Celsius (15 degrees Fahrenheit). The kids are twittering with excitement, and I foresee a weekend of tobogganing and snowman building in our future. After hanging a load of laundry out to freeze-dry this morning, I grabbed my camera and went to check the current state of things in the garden. 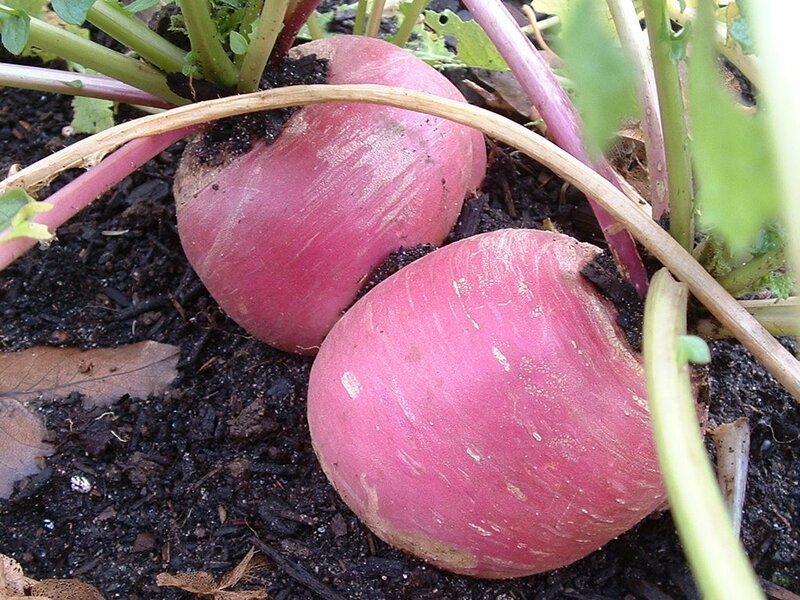 We’ve got quite a few turnips that are holding well in their original place in the garden. There are also several parsnips still tucked snuggly away beneath the soil. The Legacy blueberries, which are mostly evergreen, are adding a nice burst of colour to the otherwise brown surroundings. 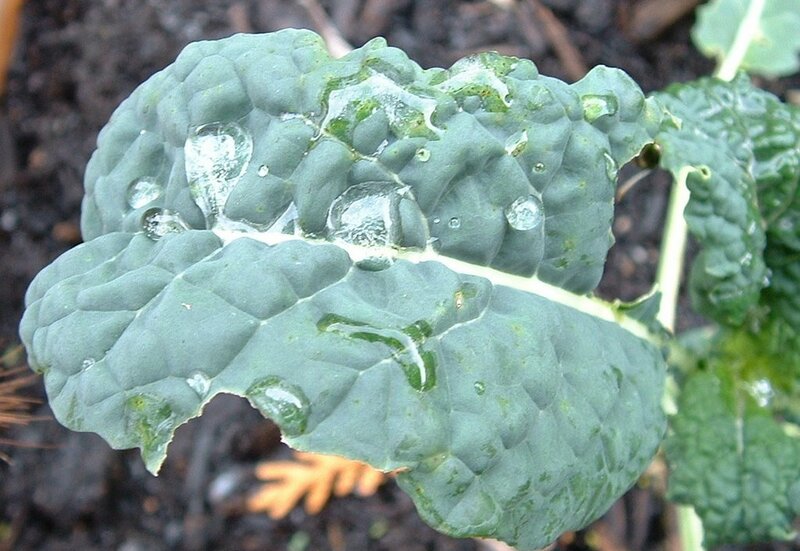 The water drops on this Tuscan kale are frozen solid, but it looks relatively happy (though slightly chewed). 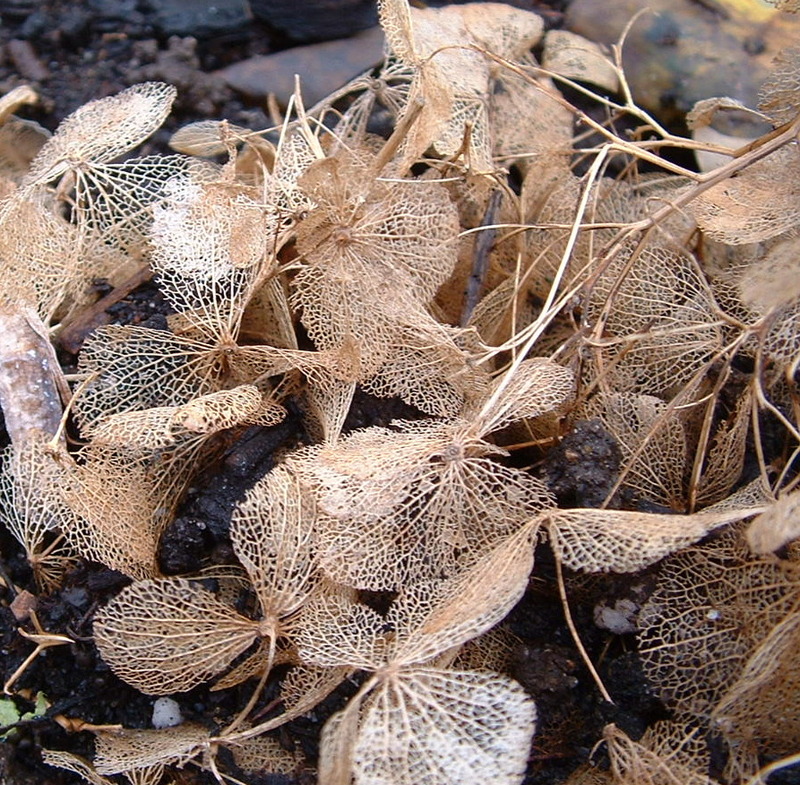 I love the look of these skeletonized hydrangea flowers (I’d chopped the dead flowers up and used them as mulch toward the end of the summer). 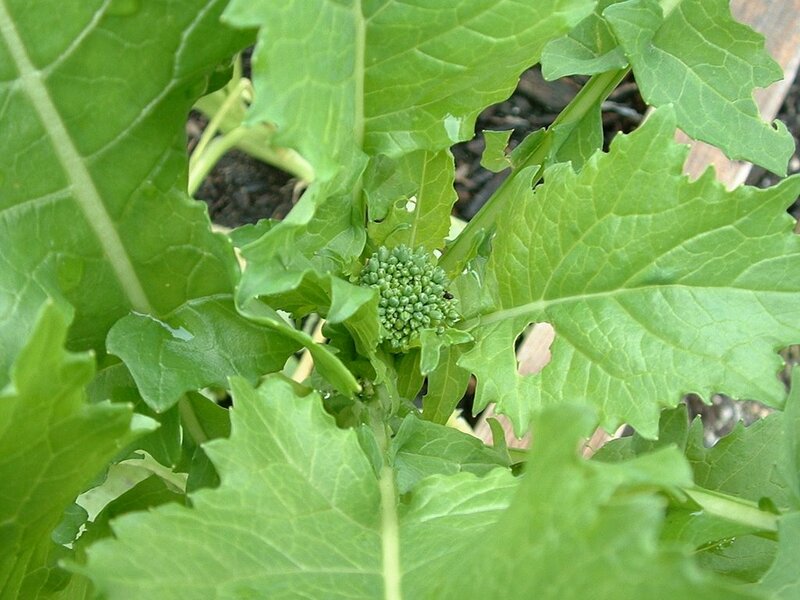 The broccoli rabe/rapini is doing exceptionally well. I’d never grown this before planting it this year, and it’s become one of my favorite things to grow. It seems to thrive in our cooler spring and fall weather, and even survived last month’s hard frost. Wow! I have missed so much while my computer was down! From butter making to cleaning of the bee house! Such intriguing information & beautiful pictures, as always. Your Winter Garden is looking good! Your pictures are just beautiful! And you want snow? We’ve got snow. Snow and -25. Trade you. Tammie – Thanks! I’m glad your computer’s up and running again, I’m expecting mine to konk out at any moment. Sara – We hardly ever get snow, so it’s very exciting! Not sure I’m ready for -25 though. 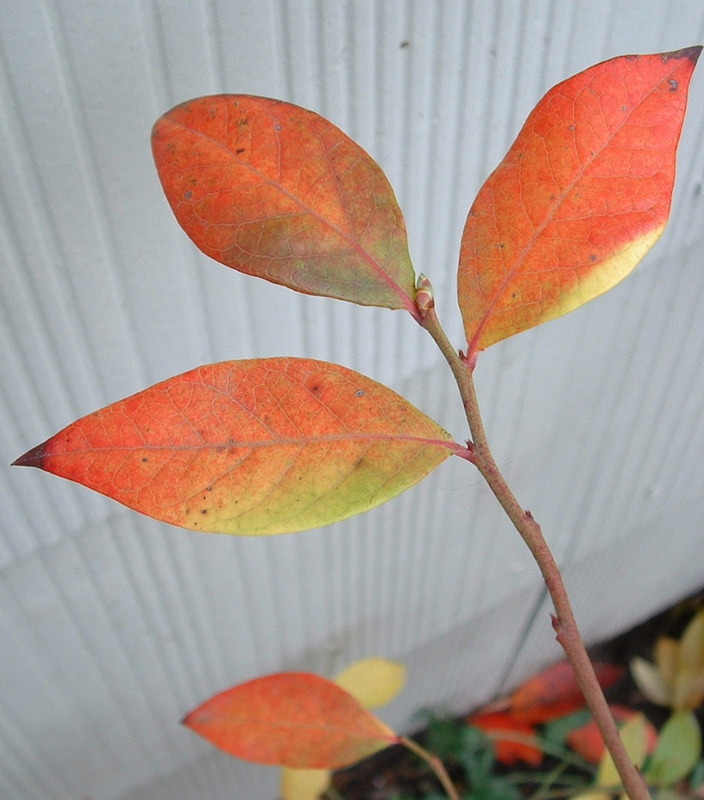 Lu – I brought a few into the house this year as well, but they just turned an awful brown colour for some reason. Maybe I’ll have better luck next year!